PAID IN FULL! 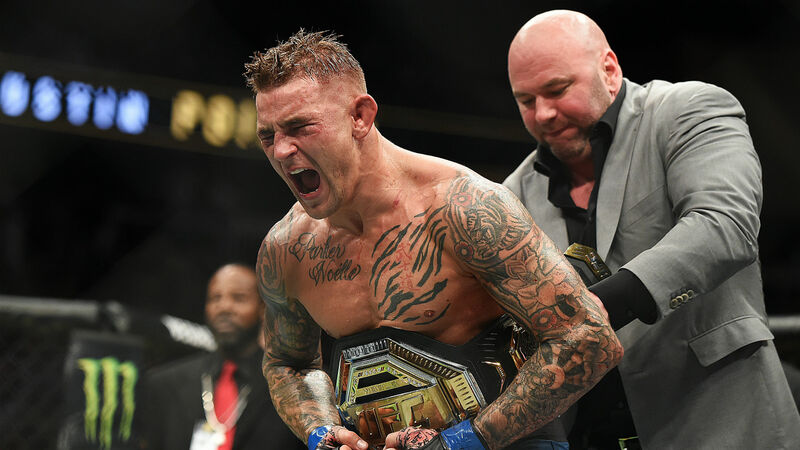 Dustin Poirier paid his dues to get a title shot, and he took advantage by defeating Max Holloway to win the interim lightweight belt at UFC 236. Published on Monday, 4/15/19, at 11:52 a.m. Eastern. Dustin ‘The Diamond’ Poirier won the interim lightweight championship in Saturday’s UFC 236 headliner at State Farm Arena in Atlanta. The Lafayette, LA., product captured a unanimous-decision victory over featherweight champ Max ‘Blessed’ Holloway by 49-46 scores from all three judges. Poirier hooked up his betting supporters as a +185 underdog, improving to 9-1-1 since moving up to the lightweight loop after a first-round knockout loss against Conor ‘The Notorious’ McGregor at UFC 178. Poirier came out firing early, landing more than 40 significant strikes in the fight’s first four minutes. His power punches had Holloway backing up all across the Octagon. BrianEdwardsSports.com scored the opening stanza 10-8 in favor of Poirier. Holloway kept pushing the pace, however, and was getting the better of Round 2 in the first 3.5 minutes of action. However, Poirier started landing some heavy shots in the final minutes of the round and hurt Holloway again. Dustin’s work in the last 90 seconds earned him the round on our card. Holloway battled back in the third and fourth rounds. 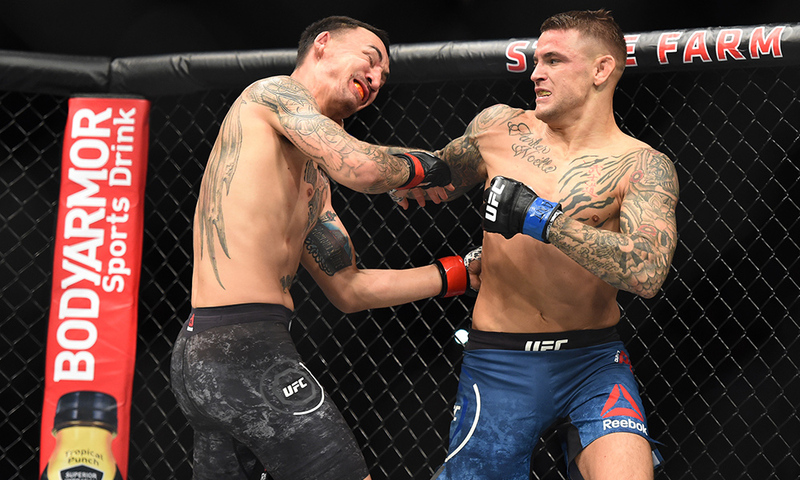 His pace and volume seemed to shift the momentum in those stanzas, but everything changed late in the fourth when Poirier connected with a big knee to the face. This instantly opened Holloway up and he was gushing blood from his forehead for the rest of the fight. BE Sports scored the fight 48-46 in favor of Poirier, giving him the fifth round. Holloway was awesome, as usual, in defeat. He gave Poirier all the credit and was in good spirits, although UFC President Dana White insisted on him going straight to the hospital rather than doing any media (other than the Octagon interview with Joe Rogan). His 13-fight winning streak dating back to his decision loss to McGregor when he was only 21 ended. As of late Monday morning, BetOnline.ag had Nurmagomedov installed as a -260 favorite against Poirier, the +220 underdog (risk $100 to win $220). 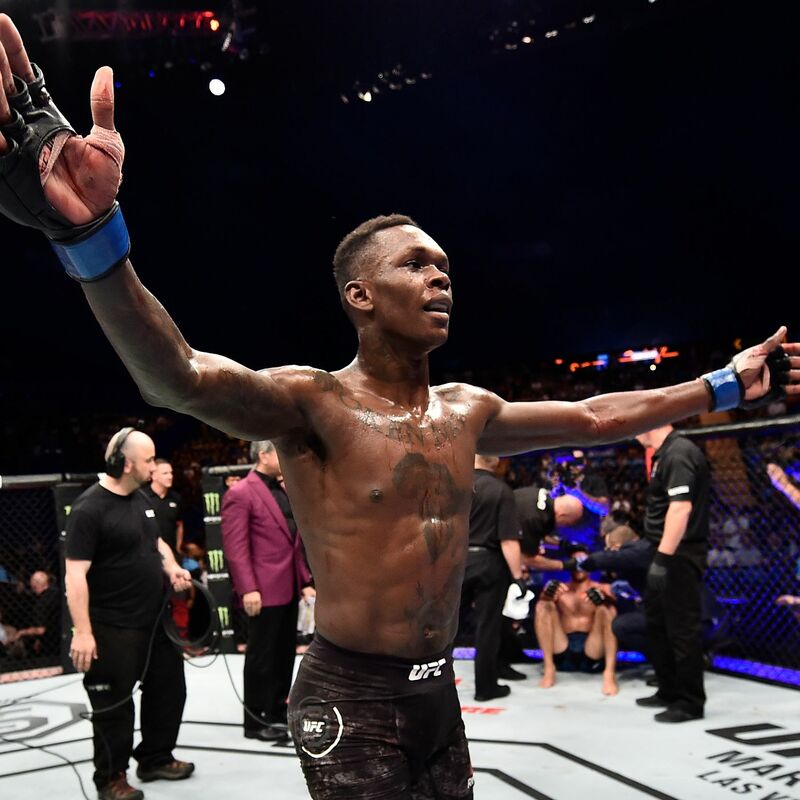 In the co-main event slot, Israel ‘The Last Stylebender’ Adesanya defeated Kelvin Gastelum in an Instant Classic. Adesanya won by 48-46 scores on all three judges’ cards and BE Sports also scored it that way. Gastelum dropped Adesanya in the first round and had his way throughout the stanza. Adesanya bounced back to win Rounds 2 and 3, but then Gastelum had a big Round 4. This left it all even and anyone’s fight going into the last five minutes. 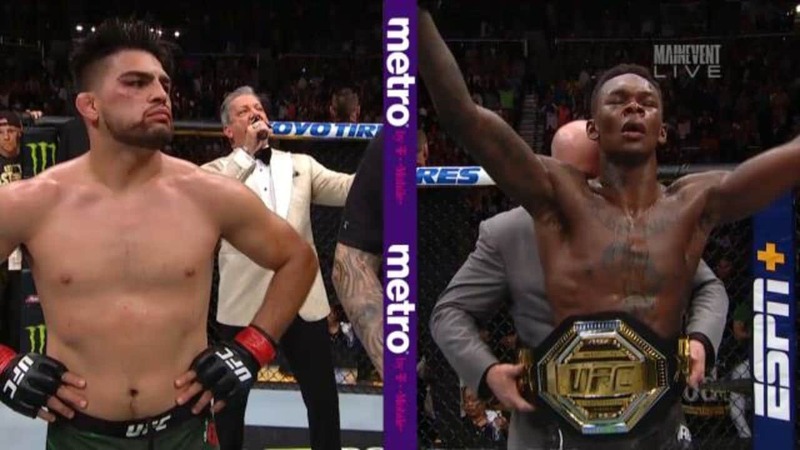 Israel Adesanya beat Kelvin Gastelum by UD (48-46 X3) to win the interim middleweight title in the UFC 236 co-main event. ‘The Last Stylebender’ had not faced much adversity in the first five fights of his UFC tenure. But in the fourth round, his face was bloodied and swollen. He would have to dig deep in the fifth and did just that. Adesanya dominated the deciding round, nearly ending it with a KO and a submission, but Gastelum was willing to risk it all and had zero quit in him. The TUF 17 winner fought to the final horn, but this was Adesanya’s night to be victorious. He improved to 6-0 in the UFC and won the interim middleweight strap. His victory gave the promotion a pair of Nigerian-born champs, joining welterweight kingpin Kamaru Usman. Now Adesanya will face reigning middleweight champ Robert Whittaker, who had to have emergency surgery for a hernia in his abdomen just hours before he was going to defend his belt in Australia against Gastelum several months ago. White said that fight will take place in Australia in the fall. It is expected to take place in a stadium and should sell North of 60,000 tickets. Whittaker is currently listed as a -155 ‘chalk’ at BetOnline.ag. Adesanya is the +135 underdog. Both title fights earned Fight of the Night honors, and no Performance of the Night bonuses were issued. Israel Adesanya is a +135 underdog against Robert Whittaker in a middleweight unification bout that’ll take place in Australia in the fall. ATL where you at?! Pumped to be with my @ufc fam this weekend. Let’s go! #ufc236 Let me know your predictions! Dustin Poirier is a +220 underdog for his unification scrap against Khabib Nurmagomedov in the fall.